Conveniently close to the landmarks of the Black Hills, Hill City, South Dakota is one of the most picturesque destinations for a family vacation. Anywhere here is far from the city crowds, and Hill City vacation rentals are your ideal base to set out on great outdoor recreational adventures. Experience the best of South Dakota's natural wonders when you stay in comfort at Hill City rentals. See for yourself what an amazing time both the adults and kids can have to build fond memories of this unique and historical region. Hill City is the inland family adventure vacation spot. The majestic and sometimes peculiar landscape surrounds you; the landmarks here can be experienced and not just seen. Buffalo, bears, reindeer, and elk roam freely here and you'll see them first hand on just a simple car ride through the rugged terrain. The animals are the main attraction, but you can also take the family to landmarks such as Crazy Horse, the monument still being cut from the rock to honor Native American culture, or Mount Rushmore. Hill City condo rentals are there for you at the end of the day. The space that everyone can spread out in will make you glad to not have come all this way to stay in a hotel or motel room. Take a break from the driving and hop on a train from 1880 for the ride of a lifetime through the Black Hills. You'll marvel at the scenery like the settlers of the West did on the same type of train. Visit a gold mine while you're at it and then explore nature and wildlife at its best. You can check out Custer State Park or George S. Mickelson Trail State Game Fish and Parks for a hiking, bicycling, or horseback riding adventure. Take along food for a picnic for the family when a rest is needed. The best part is you can fix up all the goodies in the kitchen of Hill City vacation house rentals. That's a convenient benefit, not to mention the fact you'll feel like you live out here instead of just visiting. Eat in or enjoy a gourmet restaurant meal or a barbeque. Take the family for an experience of the local cuisine with the finest meats you'll ever find. Also near Hill City rentals are art galleries and sculpture exhibits that the entire family can admire. The natural history aspect of the area can be explored at the Museum at Black Hills Institute, including the region's rich diversity of dinosaurs and fossils. 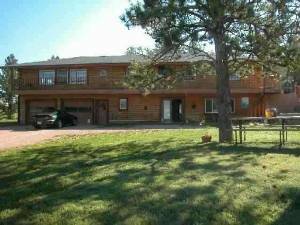 Hill City vacation rentals place you near many great things to see, and the comfortable amenities offer a much more interesting approach to vacationing in South Dakota. You might even find Hill City condo rentals a more affordable option than hotels and motels, especially when you factor in the comfort and convenience for the entire family. Talk with an owner to guide you through the considerations; you'll find anything from basic comfort to luxury. Hill City vacation house rentals come in all shapes and sizes to accommodate your vacation budget and needs for relaxation and adventure. Interested in More Hill City, South Dakota ? Check out nearby Black Hills , Deadwood , Keystone , Lead , Nemo , Rapid City , Terry Peak .